Why Pee is Cool - entry #3 - "Explosive Urination" or "Gunpowder Comes from Pee!!!" So far we have learned what gives pee its color and smell, and now we will delve into the explosive way pee has changed the course of history. That's right, pee can be turned into an explosive! To find out how we have to travel in our minds back to the beginning of human civilization--specifically, the domestication of animals. 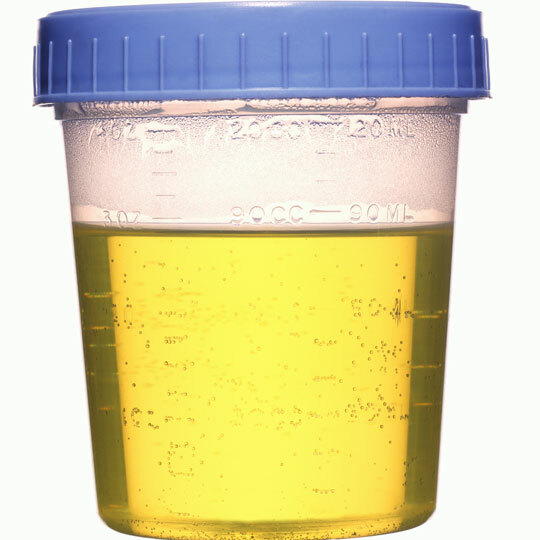 One thing that large domesticated animals like horses and cows produce in bulk is urine (pee pee!). When these animals are kept inside some sort of shelter, their pee seeps into the dry plant-less ground beneath their feet, where microorganisms turn urea into ammonia. The little pee-digesting organisms don't stop there though, they combine the ammonia with oxygen, eventually giving rise to the nitrate ion, in a process known as nitrification. Nitrification of Ammonia. 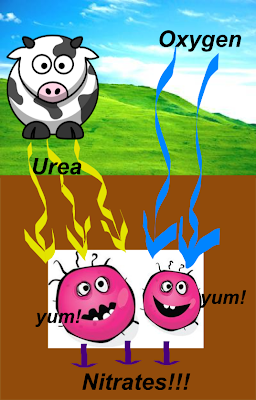 Note: animals pee out urea, but microbes turn urea into ammonia, which then undergoes nitrification.